Here is my new lvl 85 2nd age Rune-stone I’ve just finished working on. This is going to be a great all purpose DPS stone. Now I just got to work on replacing my current DPS bag. The servers are back online!!! After a long grueling downtime the LOTRO severs are back online. I would like to say a special thanks to all the people who worked tirelessly to get us back in game. Now let’s get out there and hunt some Orcs!!!!!! Well after taking a long break from LOTRO I decided to come back. I had gotten bored having two toons at level cap and didn’t have much to do in game. Since I’ve been back I’ve gotten Dramorian my Rune-Keeper from lvl 66 to 85 and 6 pieces of Hytbold gear an a shiny new 2nd age lvl 85 Rune Stone. I just recently started leveling Thamorian my currently lvl 66 Guardian. So needless to say I’v been very busy lately trying to get back up to speed after taking two years off. I have to say reading about mounted combat was really what brought me back to the game. Stay tuned, more posts to come. I hope everyone had a great holiday season this year. So far my start to 2011 has been a very busy one at work but I thought I’d push the work aside for a bit so I could write up a small blog post. I’ve been running solely on my RK lately. I really hope with the next update they give us some more options to pick up the superior third marks. Since my raiding has been put on the back burner from lack of finding a group, I decided I’d jump over to the Moors and have some fun there. So far, I’ve got my RK up to rank 4 and having a blast doing so. I’ve been tweaking my RK to get the most burst dps I can out of him which is needed in the Moors, since you need to hit fast and hit hard if ya want to live. Just picked up a new 2nd age lvl 65 satchel which should work well for replacing my 1st age I was using. Tomorrow I’ll post up a pic of the stats on it so far. 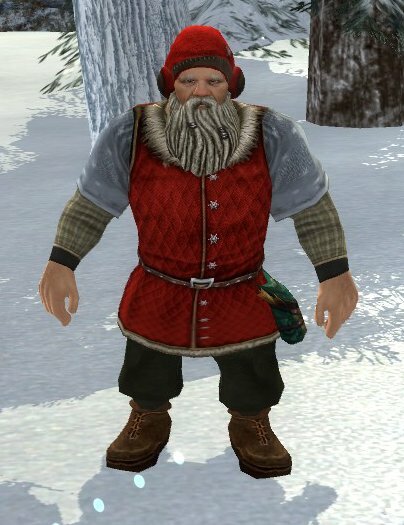 Just wanted to take the time to wish everyone in the LOTRO community a Merry Christmas and a Happy New Year. Hope everyone is enjoying themselves at the Yule Festival this year. I’ve been really busy in RL getting ready for the Holidays but I’ve managed to get some good gaming in. I’ve been concentrating on my RK and I’d like to get him some new LIs but I’m nervous about the upcoming changes and that kind of has me in a holding pattern to see what will happen. I’ve been diligently working on trying to get my full Helegrod gear on Dram my RK but have been having trouble lately getting school/library runs to get the superior 3rd marks. I’ve done a few DN runs lately and managed to pick up the gloves and the boots on my RK but have been very disappointed in the stats. I’m also very grateful that the lotro lotteries are back and I’ve already won one of them so far. I’m trying to decided on which toon I should level to 65 next. My choices are Hunter, Minstrel or Warden. I’ve been leaning towards the Warden after watching @docholidayj’s awesome video he posted doing death from below. My Hobbit Warden is lvl 43 but it’s been so long since I played him i forget all the gambits. Well enough ranting for the night. Take care everyone. Since the launch of this years Yule-Fest my first order of business was to get a good holiday outfit going to get into the spirit of things. After checking the NPCs handing out the new items I came across this new outfit which is perfect. Now I just need to make some fresh pipeweed to hand out to the locals. If ya happen to be on Silverlode make sure ya say hi and I’ll give ya some. I’ve been busy decorating my 4 houses for the Holidays. Once I’m done I’ll post up some more pics. In the meantime Happy Yule-Fest everyone!!!! !